Speculation and rumors have been swirling for the past few months about Zwift releasing a new course based on New York City, and it looks like those rumors are correct. The skyline, the road markings (a close but not perfect match), even the wooden fence all point to Cavendish’s shot being taken from within a zwiftified Central Park. 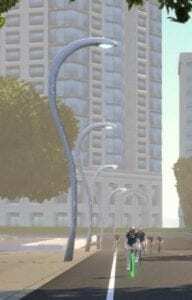 The rabbit sculpture in Cav’s screenshot is Zwift’s version of the “Still Hunt” mountain lion sculpture which you can see off to the right in the streetview below. All of this is pointing to a New York City course which at a minimum includes Central Park. And it would appear that the course may have some sort of futuristic feel to it, given the look of those lightposts and the Tron horse-drawn carraiges. With Innsbruck being released in August, and very little hype thus far about this new world, my guess would be NYC will be the next course released after Innsbruck. Perhaps September or October? We’ll have to wait and see! It is roughly 10 miles from Central Park to Van Cortland, so that could be the core of the new map. And IRL, Van Cortland seems popular with runners. 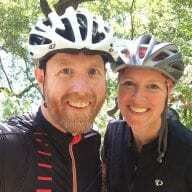 No epic climbs in the area in real life, but Zwift could add one somewhere just because they can. It would be cool if Zwift would have some collaboration with GFNY. Then maybe we could be transported to Bear Mountain just like London will take us to Fox Hill. 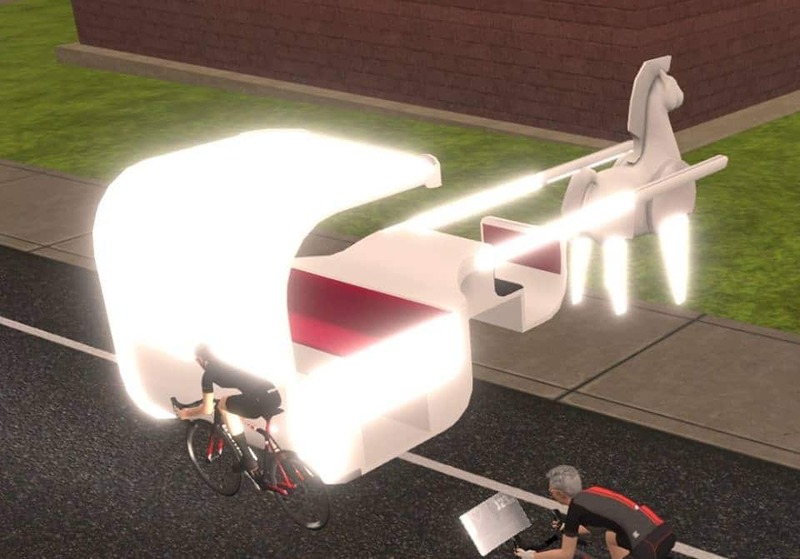 Interesting that we get a sneak peak of this yet no sneak peak of the Innsbruck UCI Worlds course apart from the map and some posts from Zwift. Ah, I believe you are correct! Not being familiar with Central Park (I’m in California!) 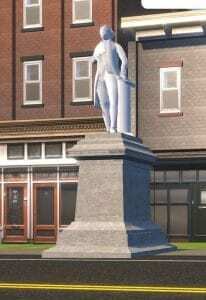 I poked all around trying to find a rabbit statue with a similar look. I’ll update the embedded image above… thanks for the tip! 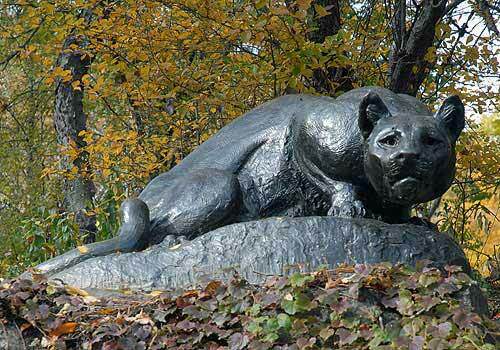 Someone mentioned upthread – Hare and Tortoise statue in Van Cortland park in the Bronx. 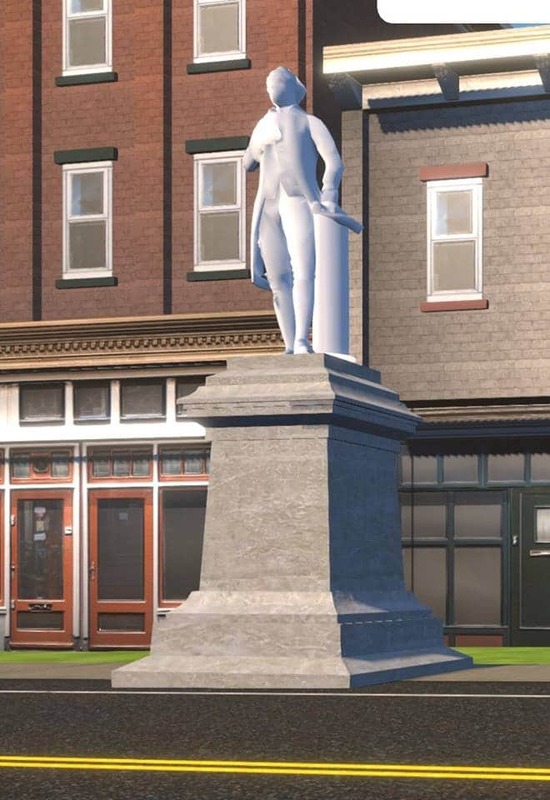 Yeah, but this isn’t that statue. 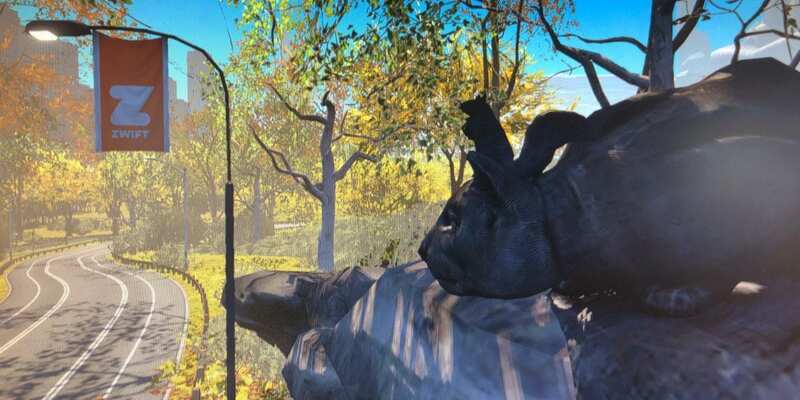 Heck, there’s an Alice in Wonderland statue in Central Park which also has a rabbit–but it doesn’t look anything like in the Zwift shot! The mountain lion does. Always excited when new courses / tarmac is introduced, but I’m beginning to be a bit sceptical as to when we’re able to be riding there. With Innsbruck being hyped months in advance, I don’t think NYC will be open before the end of this year. Given this time path I’m really hoping Zwift has also, parallel, given some people the task to create more levels etc. 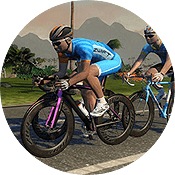 That part of Zwift, the gamification if you will, has been dead for me and a whole lot of other riders for over years…. NYC has been in the works for months–it’s just been under wraps. I think we’ll see it released as the Northern Hemisphere indoor season revs up (September/October). Interesting! I love these little teasers that Zwift put out, they seem to be “leaking” them a lot further in advance now. We’re looking at not until the Northern Hemisphere winter for these two new courses at least. Agree with Sander about the addition of new levels and some new customisation. Although not a huge issue, that’s still been been stagnant for way too long. NY has än underground so I guess that you easily could do as in London and transfer to a big Appalachian climb or three. Expansions are nice but i think adding new worlds all the time is not good. This will lead to Watopia hardly being available anymore and with x worlds youll probably get to ride them 3-4 times a month. if they don’t add world selection i am off. I don’t want to be stuck in some boring pan flat road for 2/3 of the month. Watopia is the only world that features some climbs for climbers. Very disappointed all this. 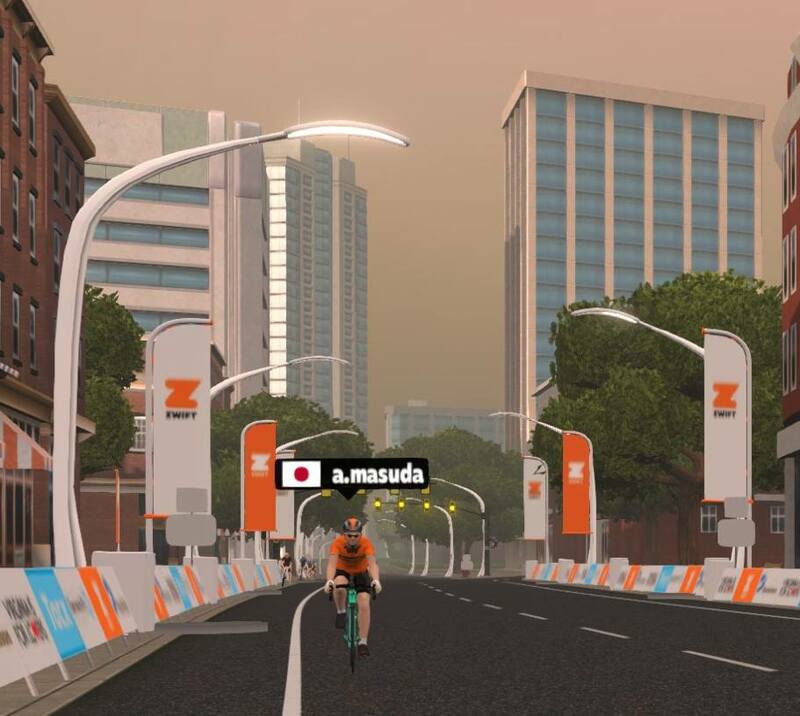 Once again, this is just a rumour, but what I’d heard was that instead of having a completely free choice of worlds, Zwift may be looking at making Watopia a permanent world every day and giving users a choice of that OR the “other” scheduled world for that day. So there will still be a calendar, but you’d have Watopia and London one day, then Watopia/New York the next, Watopia/Innsbruck etc. That I think would satisfy most users who want a choice of courses, but at the same time mean that you wouldn’t end up riding on empty worlds with no other people on them.